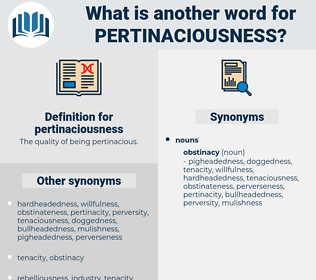 What is another word for pertinaciousness? 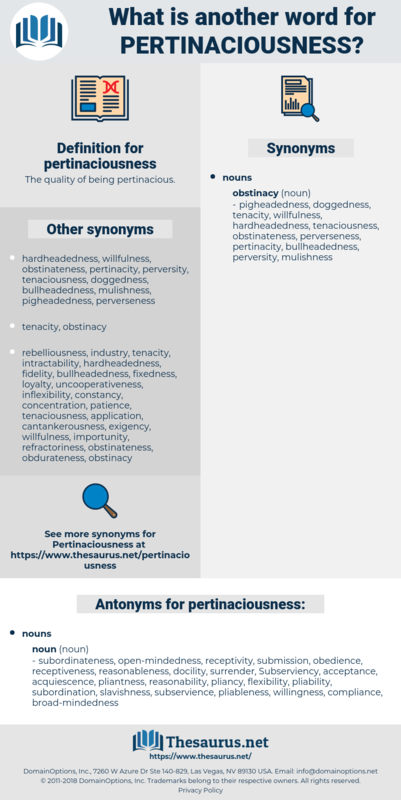 The quality of being pertinacious. subordinateness, open-mindedness, receptivity, submission, obedience, receptiveness, reasonableness, docility, surrender, Subserviency, acceptance, acquiescence, pliantness, reasonability, pliancy, flexibility, pliability, subordination, slavishness, subservience, pliableness, willingness, compliance, broad-mindedness, yielding.